Tuesday 29th August 1916: The 71 year old landlady of the Crown Inn at Leighton Buzzard, Mrs Margaret Gotzheim, has appeared at the Leighton Police Court following a raid on the Crown and an adjacent cottage, as a result of which she was charged with selling intoxicating liquors during prohibited hours, and for selling beer to a child which was not in a sealed container. Her case was heard together with those of two men and a women who were charged with being on licensed premises during prohibited hours and with sending a child for beer. Two of these co-defendants were Henry James Dover and his wife Amelia, a daughter of Mrs. Gotzheim, who lived next door to the Crown at 2 Bedford Street. Police Superintendent Matthews wished to read the statement from Mrs. Nellie Mell of 78 North Street to the court, but the defending solicitor objected as she was present to give her own evidence. Superintendent Matthews complained that she was now a hostile witness making statements the opposite of those she made to his police sergeant. Mrs Mell admitted signing a statement but said she was not responsible for what she said as she was so upset; she was looking after two invalids and had not been to bed for thirteen weeks. The sergeant had come into the yard on Sunday morning as she was “doing her vegetables” without invitation. He asked what had been brought to her from Mrs Dover’s house and she said milk; she also said some beer had been brought, but did not say when. The beer had actually been brought round on Saturday evening but as she was upstairs with her invalids she did not find it and drink it until just before the police came. She agreed that by then the beer was rather flat! Evidence was given by the police to the effect that jugs full of beer were being taken from the back door of the Crown into the Dovers’ house next door, where they were being drunk or passed on to others. The situation was complicated by the reluctance of family members to give evidence which might support the police case. One of Mrs. Gotzheim’s forty grandchildren, Henry Charles Samuel, admitted seeing his aunt, Mrs Dover, drink a half pint, but said he had never seen any beer sold before opening hours on a Sunday. 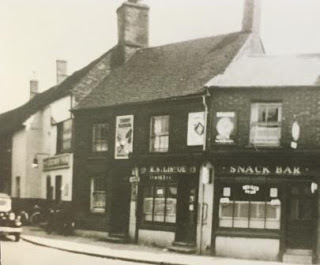 Another co-defendant, Mr. George Short, was found in the Crown Inn, but said he was delivering papers, as he had done regularly for several years; he denied having been served with anything although there were drops of beer hanging on his moustache. No beer was found by the police in the Dovers’ house. Mrs. Gotzheim’s solicitor pointed out that his client had a clear record except for one occasion the previous year when she appeared in court on a charge of travelling to Luton without permission while registered as an alien; this would not have happened except for the war and she had held a licence for 35 years without any problems. He argued that the police evidence was based on suspicion, and all the coming and going was natural enough when those involved were relatives. The whole case hinged on a jug found at Mrs. Mell’s and the half pint drunk by Mrs. Dover. Mrs. Gotzheim explained that her daughter normally cooked a Sunday joint for her as she had a gas stove whereas the Crown did not, and she usually gave her a glass of beer for her trouble. The magistrates concluded that there was insufficient evidence and dismissed the case. Part I of the film shows the preparatory action between 25th and 30th July, including the movement of the ‘Brave Bedfords’ on the eve of the attack. Part II shows the big day itself, with scenes of soldiers fixing wire cutters to their rifles in order to force their way through German barbed wire, a field battery in action and the memorable rush over the trenches in the face of devastating fire. Deeds of rescue are highlighted, one man bearing a comrade across his back as he crawls through a mass of barbed wire to safety. A hard fought British victory is celebrated, with footage of cheering Tommies and the burial of the German dead. 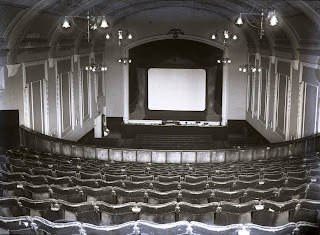 The film lasts an hour and a quarter and the profits from the film will be sent to war charities. 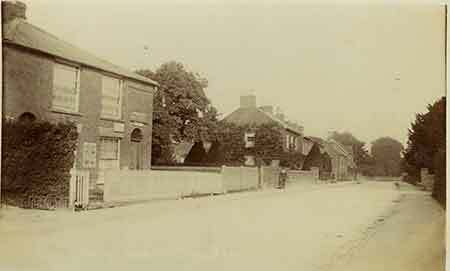 Thursday 24th August 1916: The four eldest sons of Mr and Mrs Ernest Holliman of 300 High Street North, Dunstable all joined the army to fight for their country, and two have paid the ultimate price. 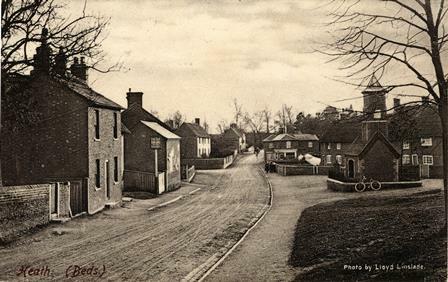 The family lived at Houghton Regis for twenty years before moving to Dunstable, and the father is well-known as a platelayer on the London and North-Western Railway. The youngest of the brothers, Private Percy Holliman, was only 17 years old when his unit was mobilised in August 1914. 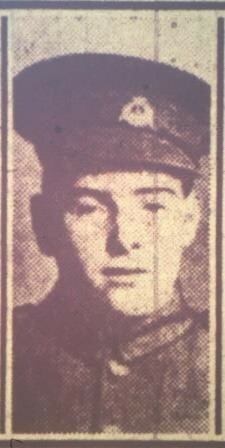 He was among those sent to the Dardanelles last summer with the 5th Battalion of the Bedfordshire Regiment and died on the 26th September from the effects of wounds received at Suvla Bay. Before the war he worked for a coal merchant at Dunstable. The next brother, 20 year old Private Frederick Walter Holliman, died on August 3rd of wounds received fighting with the Bedfordshire Regiment in France, where he had served for a year and ten months. He was previously employed at Chantry Farm, Houghton Regis. The two older brothers are Driver Jack Holliman, aged 23, who has been in France since 1914 with the Royal Field Artillery, and Private Joseph E. Holliman, aged 24, a regular soldier who completed his term of service last February and re-enlisted. He was invalided home from France last year following an attack of enteric fever, and has since been based at Landguard Camp. Tuesday 22nd August 1916: The need to keep lights shaded is still causing difficulties for local residents. Henry Impey of Eaton Bray has pleaded guilty to failing to subdue the lights in his house on 1st August. He was asked to do so by special constable Edward William Brown who was on duty that night due to air raid reports. He saw a light in Mr. Impey’s cottage at Chapel Yard at 12.15 and told Mr. Impey to put it out. Mr. Impey did so, but at 2.10am another light was visible through the sides of the window blind. The defendant said that one of his three children was very frightened of the dark and had to have a small light. He had now altered the blind and shaded the light so that it cannot be seen through the window, but he was still fined nine shillings with costs. Emily Evans, a domestic servant at “Northcourt”, Leighton Buzzard also pleaded guilty to failing to sufficiently reduce or shade an inside light on the same night. 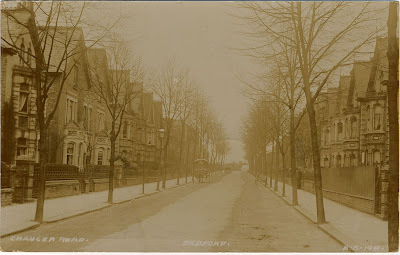 Special Constable T. H. Bishop said that he had seen the light through the trees at the side of “Northcourt” while on air raid duty in Heath Road at 1 a.m. The window blind was up and the light full on. When he called out the gas was immediately put out. Nineteen year old Miss Evans said she was the only one in the bedroom, and the light was only a candle. She was fined ten shillings. 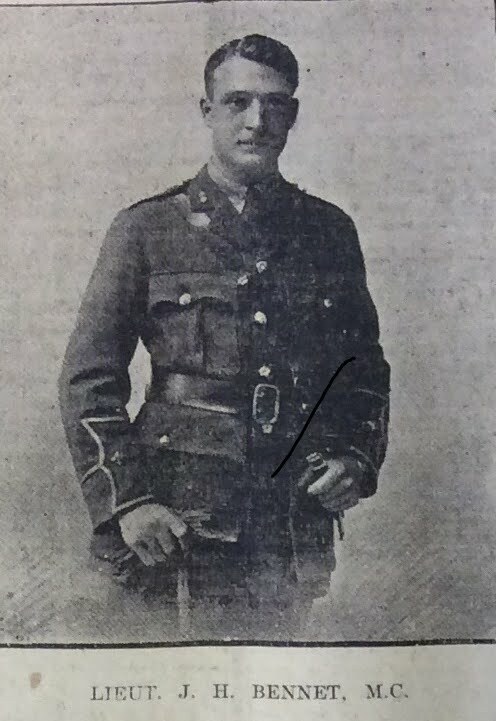 Friday 18th August: Second Lieutenant J. H Bennet, of the Royal Munster Fusiliers, met a remarkable escape from death while fighting in France. Three weeks ago his parents, of Campbell Road, Bedford, received a letter from their son stating that he had been shot through his tunic. Last Friday, Mr and Mrs Bennet received a parcel from their son containing his gold-rimmed glasses and glasses case, which he kept in his pocket. A shrapnel bullet had lodged into the case, jamming it closed. The case saved Lieutenant Bennet’s life. On Tuesday, news was received that Lieutenant Bennet had been awarded the Military Cross for gallantry on the battlefield on the 15th July, around the time when he wrote to say he had been shot. Bennet attended Bedford Modern School and joined-up with the Universities and Public School Battalion before getting a commission in the Royal Munsters. Thursday 17th August 1916: Private Arthur Bozier of 59 May Street, Luton, has had “a rather rough time of it” since joining the army. He was severely wounded by shrapnel in the left foot at the Battle of Loos, and spent many months in Reading and Wokingham hospitals. He has now been left with partial paralysis caused by trench foot and is now on light duty at Bedford. He has six young children and a sick wife, who is being treated in a sanatorium at Chesterfield. Before he enlisted he was employed by Mr. Martin, bleacher and dyer, as a gardener. His wife Lucy evidently recovered, as they went on to have a further four children between 1917 and 1923. His daughter Irene, born in 1917, was given the unusual middle name “Verdun”. Wednesday 16th August: Annie Emmie Tully (nee Williams), aged 20 years, of Union Street, Bedford, is charged with bigamy at Bedford Borough Sessions. Annie confessed to marrying Private Herbert Parry whilst her husband, Charles Tully, was alive. 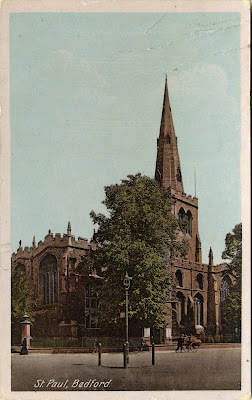 Annie married Tully on the 14 March 1914 in Llaneley [presumably Llanelly, Monmouthshire], but two years later she married Private Parry of the 2/1st Brecknocks (South Wales Borderers) at Trinity Church, Bedford. 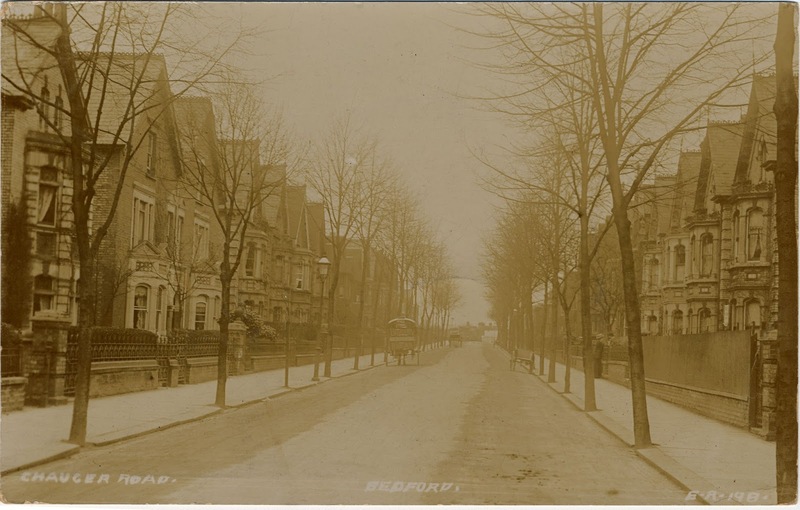 The 2/1st Brecknocks were billeted at 72 Chaucer Road, two streets away from where Annie lived on Union Street. This marriage was witnessed by a Miss Florence Haddow of Russell Street, Bedford. On the 7th August, Annie turned herself in and signed a statement in which she testified that Charles Tully had ‘knocked her about’ shortly after getting married, and, several months later during her pregnancy. Her baby had been born dead following a beating and Annie left home, taking the bed sheets to pay for lodgings. Annie returned to her husband upon his request, but found him to be just as violent and so left him for good in January 1915. 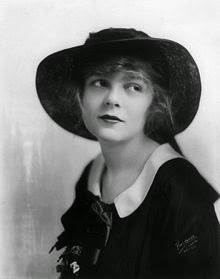 Interestingly, Parry testified that he had known Annie for two years, so it would appear they met not long after Annie married Charles Tully in March 1914. It seems likely that Annie met Parry when his regiment was formed in Brecon, Monmouthshire (the regiment served as a ‘home’ regiment and did not serve overseas) in September 1914 and that she followed him and the regiment to Bedford in 1915. It would be an extraordinary coincidence if they both happened to be from the same part of Wales and ended-up a few streets away from each other in Bedford. Since writing this hospital Lance-Corporal Pratt has been wounded. His mother, who lives at Thomas Street in Heath, has heard that he is now in hospital at Manchester. Saturday 12th August 1916: Following the recent strike by Luton munitions’ girls a conference has been held in London to consider their rate of pay, attended by the Beds Engineering Employers’ Association, three of the girls, and Mr Harry White of the Workers’ Union. An increase of a penny an hour had been under consideration, but the firm concerned has now received the agreement of the Ministry of Munitions to a new wage scale under which the bonus system has been withdrawn and the following flat rates of pay introduced: 3¼ to 4d per hour for girls under 16; 3½ to 5¼d per hour for those ages between 16 and 17; 4 to 5¼d per hour for those between 17 and 18, and 4½ to 6d for those aged over 18. However there was still dissatisfaction and the original application for a penny per hour increase was submitted to the Employers’ Association. 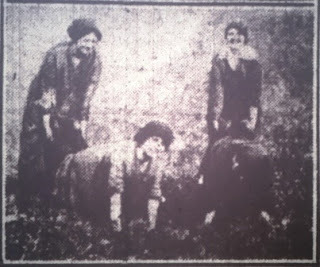 It was argued that the girls were still earning less than girls employed at other works in the town, and that many came from a distance and had to pay for expensive lodgings, or came by train and had to pay fares out of their wages. The firm was still not prepared to make any concessions, and refused to consider paying a bonus in addition to the current rates. The Workers’ Union now intends to send the application to the Central Conference due to be held at York in September. Wednesday 9th August 1916: A group of Boy Scouts from the Leighton Buzzard Troop have enjoyed a few days camping at Liscombe in a field lent by Mr. E. W. Robinson. They marched on Saturday afternoon from their Headquarters to Liscombe under the charge of Patrol Leader F. Groom. 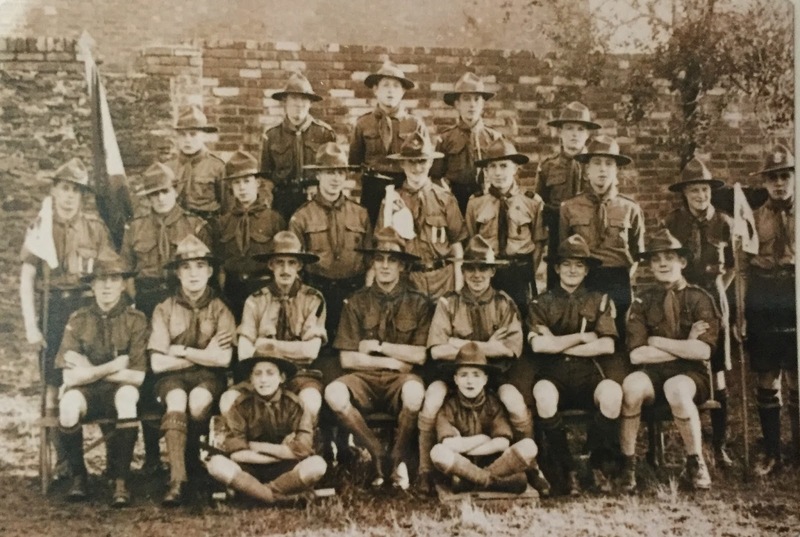 They were joined there by Assistant Scoutmaster Jack Robinson and enjoyed a game of cricket. Each morning the boys rose at 5.45am after going to bed at 10pm. Sunday was a quiet day, then on Monday they helped their host with hay-making and enjoyed a tea provided by Mr. and Mrs Robinson in the hay field. Each Scout was given an egg for Tuesday’s breakfast and his water bottle was filled with milk each day. The boys were given plenty of opportunity to practice their scouting skills. On Saturday night Assistant Scoutmaster Eric Linney tried to creep into the camp unobserved but was spotted by the sentry. On Monday the Scouts foiled an attack on their camp by some local volunteers, but on their return found their tent down and clothing and other items missing. As a result they spent the night in Liscombe House; the missing items were found the next morning in another field. Sunday 7th August 1916: Seventeen year old Joseph Parrott of Leighton Buzzard has appeared before the magistrates at Luton charged with contravening the Explosives Act. The young man was employed at Messrs. George Kent Ltd. On July 19th a press worker noticed a “peculiar” smell in a corridor and mentioned it to the defendant, who worked as his boy, saying: “It’s a funny thing I have heard about you, Joe. I hear you bring matches in this place. If I knew you brought matches here you would go outside quick, because this isn’t the place for matches.” Parrott at first denied having any, but later admitted having some in a tin. He produced the tin, which contained 23 matches. The works manager produced a notice which he said had been posted at the entrance gate and elsewhere in the works, warning that matches or any other item likely to cause an explosion must be left with the gatekeeper and not taken into the works. He also produced a copy of the printed rules, showing that the penalty for infringement of this regulation was up to 40 shillings. The contents of nearly every room were dangerous, and if one of the matches had been dropped and trodden on it would probably have destroyed the entire works and cost a considerable number of lives. It had been known for a long time that the rule was being broken, but it was hard to detect. He had been instructed that he must prosecute the first time that an infringement was detected. He did not wish to be hard on the boy, but was certain the lad was well aware of the rules. Joseph Parrott pleaded guilty to the charge. He said he had been at the works for just over six months and gave all his weekly earnings of 25 shillings to his mother as there were five children in the family. The Magistrate’s Clerk commented that he was to young to smoke, and the Mayor said he did not believe that all the lad’s earnings went home. He was fined 20 shillings with a week for payment, with an alternative of fourteen days’ imprisonment. "We shall entreat him to grant that out of the confusions and miseries of the war there may arise a clearer perception of the true relation between right and might, and a fuller appreciation of the Gospel of Christ as it bears upon the fellowship of nations. We shall have no desire to see our enemies crushed merely for the sake of their humiliation. We shall wish for them, as for ourselves, that their eyes may be opened to know what is true; and we shall pray that the day may come, by the mercy of God, when we may learn to understand and respect one another, and may be united as friends to pursue the common good." Canon Speck went on to pray for a speedy victory, for soldiers in the field and preparing for the field, for those administering to the sick and wounded, and for the fallen. Wednesday 2nd August 1916: The largest area of demand in the hat trade is now for felt hoods. While Luton is able to secure the necessary raw materials, the labour shortage is acute. The preparation of felt hoods is normally considered man’s work, but it is now necessary to train young women in this occupation. They are said to be responding well to instruction showing greater attention to their work than the men, who were too often inclined to go to the nearest pub for a drink and a talk. However, the large numbers of young women who have been attracted to the munitions works is presenting new difficulties for the hat manufacturers. It seems likely that they will be soon be forced to rely on the employment of married women as outworkers.